OPEN REGISTRATION DEADLINE May 31, 2019! APPLY TODAY! 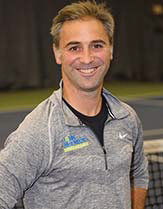 The JMTA College Recruiting Combine gives prospects access to the country's top college coaches, and gives coaches in-person, "live", access to prospects, along with detailed tennis and ﬁtness performance reporting, to help them ﬁnd the right recruits for their programs. Match results from the Combine count toward prospects' Universal Tennis Ratings (UTR). Prospects who apply for entry into the Combine are evaluated using a variety of criteria designed to confirm their likelihood of being actively recruited by the coaches in attendance. The Combine provides all participant players with a personal player portal that stores event information, match draws and scores, and fitness testing results. A college coaches' panel will be a weekend highlight for players and parents. Players will also take part in an exciting and informative Sports Vision Testing session run by one of the nation's experts in the world of Sports Vision. Exciting new Combine features are coming in 2019 and will be announced soon. Space is limited to 60 Boys and 60 Girls entering their high school sophomore, junior or senior years in September 2019. Players from the New York Metropolitan Area, from across the the USA, as well as from Puerto Rico, Greece and India, have participated. View a list of some of the players recruited through prior JMTA College Combines. Men's and women's college coaches from Cornell, Dartmouth, Yale, Penn State, Brown, Baylor, William & Mary, Middlebury, Washington University, Buffalo, Bucknell, Hofstra, Wesleyan, Stony Brook, Bryant, St. John's, UConn, Union, and Colgate are currently committed to attend along with many others. View a complete list of colleges committed for 2019 so far. Our SPORTIME/JMTA College Placement Advisory Service helps our scholar/athletes to navigate the college recruitment process and to procure tennis-based scholarships at some of the finest colleges and universities in the country. Contact jharris@sportimeny.com to find out more. Click here to see a list of recruited JMTA Combine players. 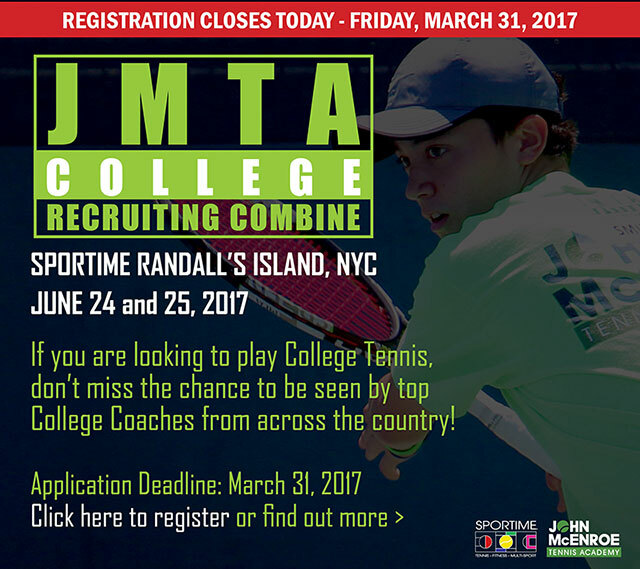 To find out more about the JMTA College Recruiting Combine, please contact Jay Harris at 516-484-9225 or email jmtacombine@sportimeny.com. Match Results Tracked & Count Toward UTR! Subject to change. Please check often. 11:45am - 12:45pm Coaches Panel with Coach Dillon Pottish (St. John’s), Coach Roger Follmer (Washington U), Coach Lee Nickel (Buffalo), Coach Bruce Myers (Bucknell), Coach Karl Gregor (Tufts), Coach Jason Pasion (Hofstra), Coach Rick Edelmann (Bentley) and JMTA Combine Director, Jay Harris. 12:45pm - 1:30pm One round of boys' doubles, one full set. 1:30pm - 5:00pm One round of boys' singles, 2 out of 3 full sets, super tiebreak in lieu of a 3rd set. 8:30am - 9:30am One round of boys’ doubles, one full set. 9:30am - 1:00pm One round of boys' singles, 2 out of 3 full sets, super tiebreak in lieu of a 3rd set. 8:45am - 9:30am One round of girls’ doubles, one full set. 9:30am - 12:30pm One round of girls' singles, 2 out of 3 full sets, super tiebreak in lieu of a 3rd set. 1:30pm - 2:30pm Coaches Panel with Coach Chris Fruschi (Baylor), Coach Jason Pasion (Hofstra), Coach Gary Glassman (Stony Brook), Coach Lauren Leo (St. John's), Coach Loni Hammons (American International College), Coach Tanya Panasyuk (Adelphi) and JMTA Combine Director, Jay Harris. 2:30pm - 6:00pm One round of girls' singles, 8-game pro-set. 1:30pm - 4:00pm Final round of girls' singles, 2 out of 3 full sets, super tiebreak in lieu of a 3rd set. 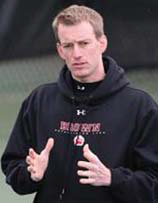 "Hi Coach Jay Harris, Thank you so much for hosting the JMTA College Combine. I really enjoyed myself playing all these tough opponents." "Hi Jay, Thank you so much for organizing this event. It was very cool for me to play against some kids from a different section, meeting new people and coaches, and all of the other amenities you had. It was all very appreciated. Hopefully I will see you again soon somehow." "Great experience to interact with college coaches and my son thought it was great exposure." "The combine was a great experience for me as many top college coaches got to see me play against players right at my level." "I was a player at the JTMA combine on Saturday and Sunday. I just wanted to thank you for organizing the event and having me participate as well. I look forward to playing in similar events in the future!" 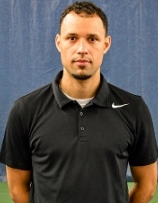 "My daughter had a very good time at the Combine, and felt it was very useful for her development as a tennis player"
"Excellent opportunity for my son to begin thinking about what he wants from college tennis. He loved the format and competition. The facility was comfortable with convenient parking and viewing areas and close enough to NYC to spend the day while he played." 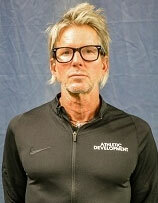 "I wanted to thank you and all of the staff at JMTA for allowing me to participate in the JMTA College Combine. It was a wonderful experience and I look forward to playing at Sportime in the future!" "Thank you and all at the Combine for including my son! He had a wonderful experience!" "I loved the overall experience for my son as he got to interact with college coaches, listen to a great panel discussion, and receive some great exposure on the court as many coaches got to evaluate his level of play." "Hello Coach Harris, I would like to thank you for the meeting you had with my parents and me. Never before had I received such honest and valuable information from a coach on this subject. I look forward to participating in your upcoming Combine program and working with you through the college process." 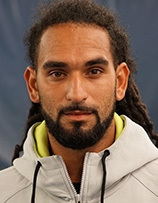 Jay, a native of Lexington, Ohio, was the Head Men's Tennis Coach at Brown University for eight years prior to moving to New York, in 2010, to join the SPORTIME Team. He was the most successful tennis coach in the Brown tennis program's 100-plus year history, leading the team to its highest ever national ranking, #33, two Ivy League Titles, and seven consecutive NCAA Tournament appearances. 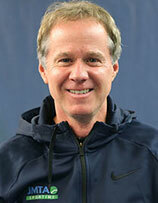 In 2005, Jay was named the Northeast Region coach of the Year and was a finalist for the National Coach of the Year Award. 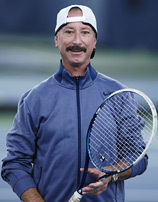 He coached five singles players and 15 doubles teams to national rankings, including one team that achieved all All-American status. View advertising and sponsorship opportunities. To find out more, please contact Richard-John Mensing, Jr., at rmensing@sportimeny.com or by calling (212) 427-6150.